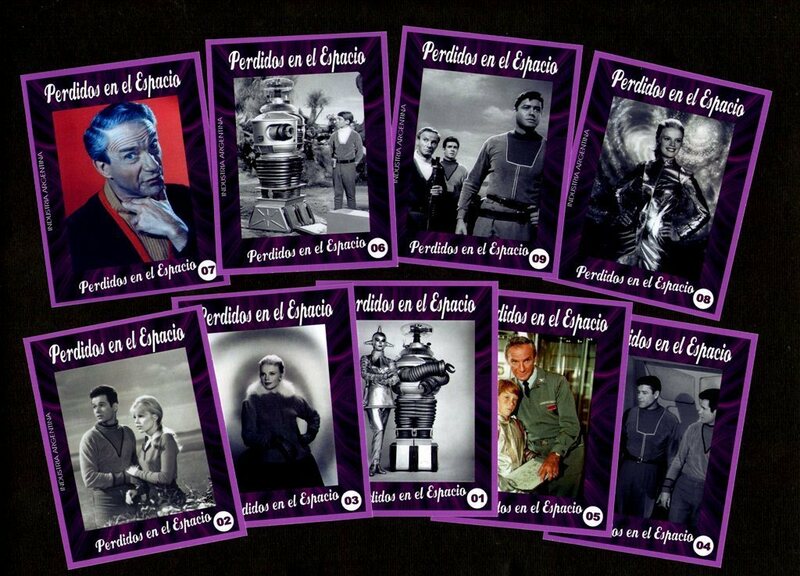 A set of 100 different Lost in Space trading cards. Issued in Argentina (Year unknown) cards measure 3.5 inches x 2.6 inches. Cards features the original cast in many different episodes throughout the entire series. Very colorful cards, and interesting subject matter. Very hard cards to fine even in Argentina.